There are numbers of third party iPhone transfer software available in the market. But the big question is why to use the third party software when iTunes is there? 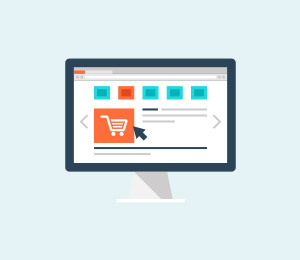 The answer is although iTunes makes it easier for the users to import files to their devices, the software also has some disadvantages. Let's consider the following cases. To transfer files or videos from computer/Mac to iPhone, first you need to import them to iTunes library and then sync with the device. If you have non-purchased music on your iPhone, then those files might be lost after synchronization. Consider another case, suppose you get a new phone and you want to transfer files from your old iPhone to the new one or you love some music from your friend's iPhone and you want them on yours. Finally, there might be a case of your OS or iTunes crash or reinstall and don't have backup of your iTunes library but all the media is still on your iDevice. The only solution to the above mentioned problems is to use third party transfer software. Here we will describe top 10 iPhone transfer software. dr.fone - Transfer (iOS) is a powerful phone manager that enables you to transfer music, videos, playlists, podcast, iTunes U, photos, contacts and SMS from your iPod, iPhone and iPad to your computer. It is available for both Windows and Mac. Visit their official website to purchase it. You can also download a trial version of it. Connect iDevice to computer with a USB cable. Can export music on your iDevice to iTunes and PC with ratings, play counts and skip. Transfer photos between iPhone, iPad and PC by just dragging and dropping. Can merge duplicate contacts on your iPhone's memory, iCloud, Gmail and other accounts with zero data loss. Create playlists and organize the music on your iPhone, iPad and iPod. Syncios can a better alternative to iTunes. With Syncios, you can backup music, video, photos, apps, podcast, iTunes U, ringtones, e-Books, camera roll, voice memos, camera shot, contacts, notes to your computer, seamlessly copy video, audio, photos etc. from PC to your iDevice. You can also sync your iDevice to iTunes. 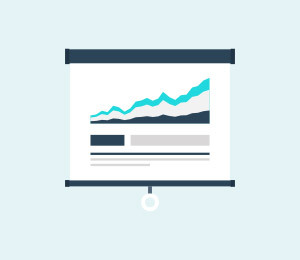 This powerful and user friendly tools also comes with a converting function that you can use to convert any audio and video to Apple compatible audio and video. Transfer music from iPhone to iPhone, iPhone to PC and PC to iPhone. Sync iPhone files to PC and copy iPhone files to iTunes. Import and export video, photo, ringtone, eBook between PC and iPhone. backup iPhone contacts, bookmarks, voice memo, notes etc. Manage apps, application documents between PC and iPhone. Create, delete and edit photo album. Connect iDevice to computer via a USB cable. iTunes must be installed on the computer to use Syncios iPhone transfer. Tansee iPhone transfer is another powerful third party tool for transferring files from iDevice to PC. You can copy music, videos, voice memos, and podcasts from your iDevice to computer. It supports almost all the version of windows. There are two versions available – Free version and Full version. 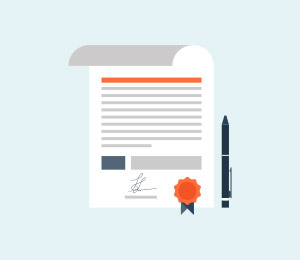 Tansee declared that they have established two support teams. For any query they will reply within 24 hours throughout the year. Can copy music, videos, voice memos, podcasts from iDevice to computer. Can easily and quickly backup music, videos to any location on your computer. Supports almost all types of iDevice. Supports almost all the version of Windows. Tansee is easy to install and easy to operate and has a user friendly interface. Need iTunes to be installed on your computer to identify your iDevice. Can only copy purchased and synced music and videos. Xilisoft iPhone Transfer is a smart application to synchronize your iPhone to your computer. It backup music, videos and other contents on your iPhone to your computer and can also copy files from your computer to iPhone. 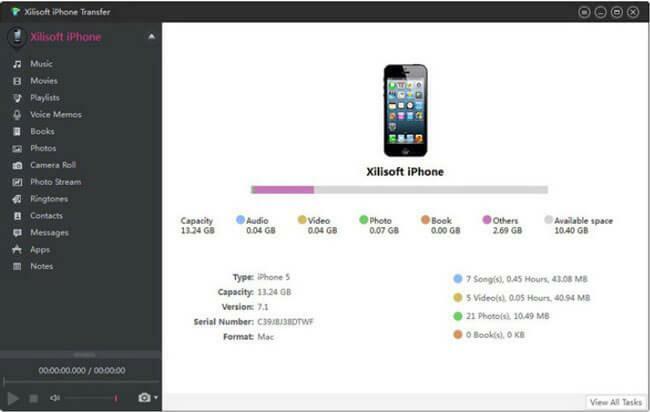 You can make your iPhone a portable hard disk when Xilisoft transfer software is installed. It is available for both Windows and Mac OS X and also supports all the generations of iPhone, iPad and iPod Touch. Fully support all iPad, iPhone and iPod touch. Backup iPhone contents to computer. Backup messages and contacts to computer. 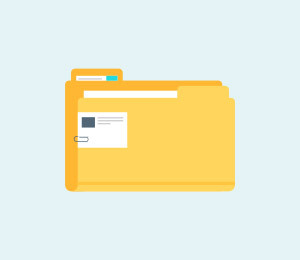 Export computer files to iPhone, iPad and iPod. Synchronize iPhone music with iTunes library. Manage iPhone music, movies , photos and books. Support several iOS device simultaneously. Connect iDevice to computer with a USB cable or Wi-Fi. Explore your iPhone files like an external hard drive. Can view devices type, generation, serial number, format, version and others on the main interface. 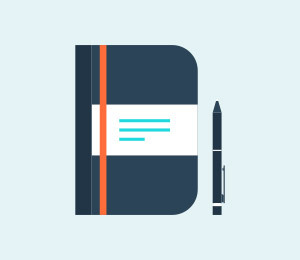 Manage and organize photos by creating and editing albums. Transfer and manage iPhone ringtones and PDF or ePUB format eBooks easily. User can transfer files via Wi-Fi besides USB. 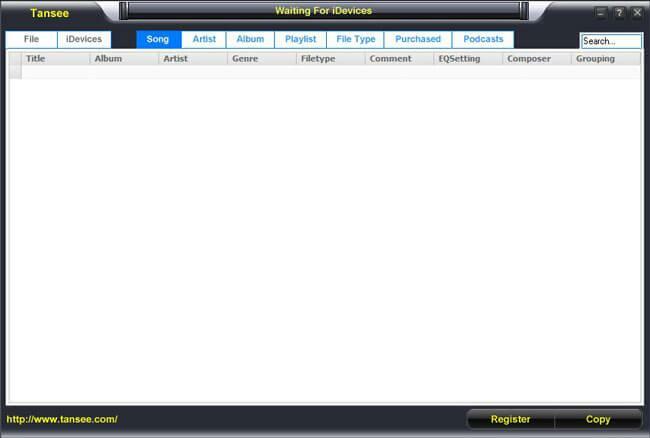 Need iTunes to be installed on computer to identify connected device. Batch processing function support at most 10 files. The function of exporting note is unavailable. 3herosoft iPhone to Computer Transfer offers flexible way to transfer music, video, photo, ePUB, pdf, Audiobook, voice memos, camera roll (iOS 4 and above), ringtone, podcast, TV show, SMS contact, call list from iPhone to computer for backup. It is available for both Windows and Mac. You can easily browse file information, organize playlist, create new playlist and delete music on iPhone using it. All the latest updates are supported – iOS 10 and iTunes 11. Mount iPhone as a hard drive. Quick search and filter allows find photos, music, videos as quickly as possible. Can transfer playlist from iDevice to PC or iTunes directly. It can mount your iPhone as hard disk. Display type, memory details, version, serial number, and format when connected. Can export iPhone contacts as .csv files to computer. iTunes must be installed on the computer to identify a connected iDevice. Batch processing supports only 99 files. Mediavatar iPhone Transfer is an easy to use and powerful tool to copy music, videos, playlist, photos from computer to iPhone. It can also backup iPhone movies, songs, photos, SMS to computer. You can connect multiple iDevice to the computer simultaneously. This tool is available for both Windows and Mac OS X. Allows multiple iDevice to connect simultaneously. Manage or transfer iPhone playlists. Browse you music collection in style. Provide high speed file transfer. Enable edit music file info. Can check duplicate file in a playlist. 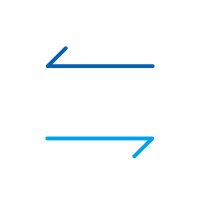 Support simple drag and drop file transfer. Need iTunes 8.2 or later be installed in the computer unless it will not be able to identify connected device. 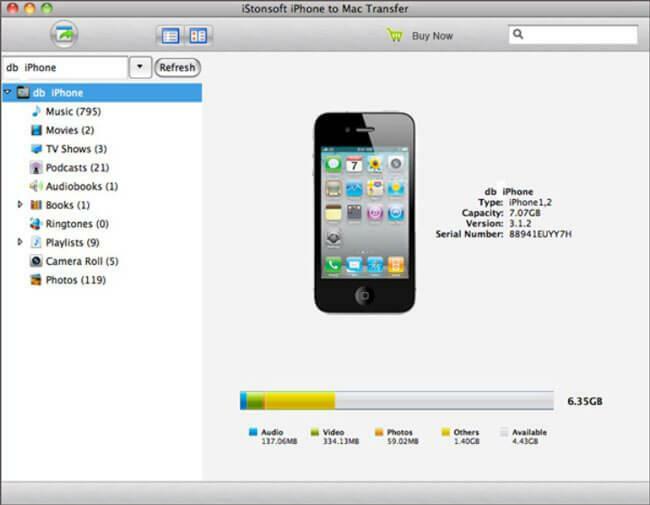 iMacsoft iPhone to Mac Transfer is an excellent software designed for Mac OS X and Windows. It provides fast transfer, rip, copy and manage of music, movie, photo, ePUB, PDF, Audiobook, voice memo, camera roll (iOS 4 and above), ringtone, podcast, TV show, SMS, contact, call list from iPhone to PC. It is available for both Windows and Mac OS X. However, the windows version is named as iMacsoft iPhone to PC Transfer. It can also transfer music and videos between iPhone and iPod. Keep pace with the update. Sync iPhone files to iTunes. Create rename and delete playlist. Concise interface and fast transfer speed. Transfer iPhone SMS and call list as .txt file. Transfer iPhone contacts as .txt and .csv file. Can mount iDevice as external hard drive. Provide quick search and filtering iPhone file by artist, album, genre and composer. Need iTunes to be installed otherwise cannot find iDevice. Batch processing function supports at most 100 files. With ImTOO iPhone Transfer, you can transfer music, movies, eBooks, messages, contacts, apps and photos from iPhone to computer and iTunes. It supports multiple iDevice connection simultaneously. It is available for both Windows and Mac OS X and supports all kinds of iDevice. According to the developer it is the most efficient transferring software currently on the market. It also provides synchronization of iPhone via Wi-Fi. Copy playlist to iTunes and customize the column for showing the file details. 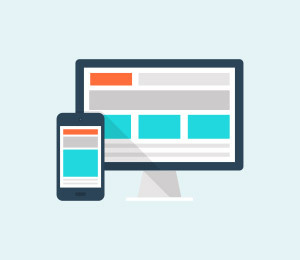 Allows multiple iDevice to connect and transfer files between them at the same time. Support simple drag and drop feature between PC and iPad. Transfer, edit and manage iPhone ringtones and eBooks in PDF or ePUB format with ease. Support importing contacts from many address book program including incredimail. Use filter and quick search to find music, videos, photos and anything you want just as easily as iTunes. Connect iDevice to computer with a USB cable and Wi-Fi. Supports all the latest iDevice. Can add one photo into different albums. Can also backup SMS messages. Display type, memory capacity, version, serial number and format while an iDevice is connected. Cannot handle batch processing function with number of file more than 100. Manage iPhone files on your Mac directly. Two view modes to preview files freely. Quick search and filter iPhone files by artist, album, genre or composer. Can sync with itunes music library. Display device type, memory capacity, version, serial number when connected. Audio or video player embedded. 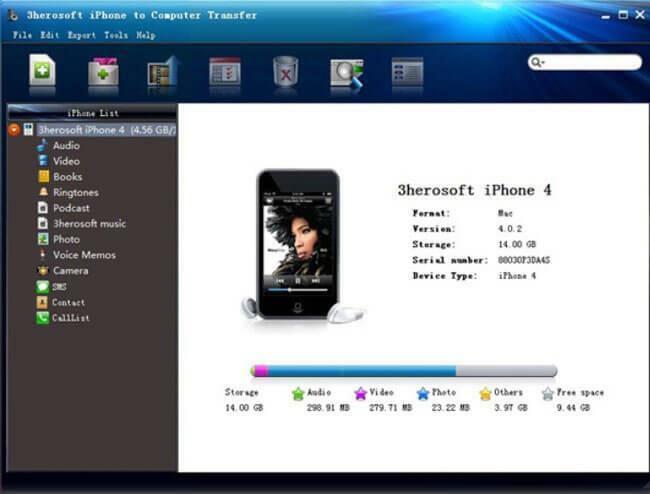 Tipard iPhone transfer is a professional and multi-functional iPhone transfer software. It has a very powerful transfer function that allows transfer of music, movie, photos, TV shows, podcast, iTunes U, eBooks, camera roll, ringtone, SMS, contacts, voice memos, camera shot from iPhones to PC or iTunes. It has a converter that can convert any audio or video file to apple compatible audio or video file. It is available for both Windows and Mac OS X. Transfer files between any two apple devices. Backup SMS/contacts database files for safety. Convert DVD and video to Apple compatible formats. Make and edit personalized iPhone ringtones for fun. Four interface language – English, French, German, Japanese. Can backup iPhone contacts and SMS. Convert audio and video files to apple compatible file format. There is a limitation in batch processing function related to the number of file for each kindoffile type. The backup and restore functions are unavailable. Simply download and have a try the best iPhone Transfer software. Read this tutorial to learn how to save text messages from iPhone to Mac. The guide has listed two stepwise solutions to transfer messages from iPhone to Mac. Do you want to transfer apps from iPhone to iTunes or sync apps from iTunes to iPhone? Find the solutions here.